Dr. Gossen has joined Gastroenterology Clinic of San Antonio. He is an assistant clinical professor of internal medicine at the UT Health Science Center at San Antonio. He is currently the medical director of the San Antonio Endoscopy Center and a member of Gastroenterology Research of San Antonio. 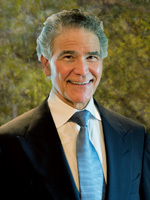 Other achievements include a bachelor of arts with highest honors from the University of Texas at Austin; doctor of medicine from UT Health Science Center at San Antonio; diplomat of the American Board of Internal Medicine and American College of Gastroenterology; fellow of the American College of Gastroenterology; member of the American Gastroenterology Association and American Society for Gastrointestinal Endoscopy; and name by his pears to the list of Super Doctors© in 2009, 2010, 2011. Learn more about Dr Gossen through his website. It is built for the ease of his patients and their better communications with me and my front office. We are here for you. You are about to leave the GastroClinicSA.com website. Click on the link below to launch the website in a new window.